Pitera is a skin care product line offered by SK-II, a Japanese skin care company currently owned by the U.S. conglomerate, Procter & Gamble. SK-II offers a variety of skin care solutions, including; facial cleansers, treatment masks, anti aging creams, and under eye masks, to name a few. The Pitera line revolves around a specific ingredient in a type of yeast that speeds up the skin’s natural rejuvenation process. 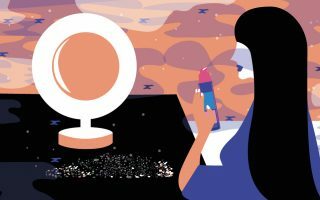 As such, the products in this collection are largely sold with an anti aging marketing focus, with the company suggesting that the ingredient can help consumers get rid of wrinkles, fine lines, and moderately sagging skin. 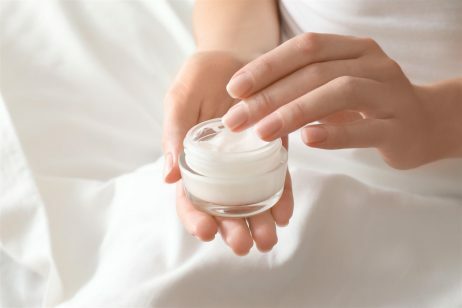 Although the ingredient is sometimes touted as a miracle solution to aging skin, it is important to understand that there’s a difference between the circumstances that led the company’s founders to this discovery, and the circumstances under which an average consumer will use this ingredient – discussed later. Therefore, it is important to do your research and read Pitera reviews, as some of the items can be pricey, at $155 for about 5 ounces. The manufacturer of Pitera products, SK-II, was founded in the 1970’s when the original owners traveled to a sake brewery in Japan and noticed an interesting contrast in the physical appearance of the workers… Although the employees’ faces had a very mature appearance, with heavy wrinkles and fine lines, their hands had retained an uncharacteristically youthful appearance. At first, the founders of the Pitera line were baffled by this disparity, but correctly began to suspect that the underlying cause was in the yeast that the workers handled all day with their bare hands. To learn more about the process, the founders began to study different types of yeast to understand this phenomenon, and after testing about 350 strains, the Pitera product line was born. The manufacturer claims that the uniqueness of Pitera comes from the nutrient rich organic compounds contained in the natural ingredient. Their research suggests that this chemical, which is a clear liquid, carries an abundance of vitamins, minerals and amino acids. Ingredients like this are generally thought to be helpful for achieving healthy skin, because they provide skin cells with the necessary nutrition to regenerate themselves, and provide amino acids for repair of damaged protein structures in the skin. Using this research, SK-II founders developed a variety of products to infuse skin with the Pitera compound in an effort to stimulate cellular repair and promote more efficient skin regeneration. Pitera products can be purchased online, through the company website, as well as through other online and off-line retailers around the United States. Anyone trying this product for the first time is encouraged to look for samples from discovery shopping services and local beauty counters, because although the per-ounce price of the products may not be significant, the overall expense can be quite high. For example, SK-II Facial Treatment Essence, a Pitera-based exfoliator costs $155 for about 5 ounces. The per-ounce price is only about $30, which is not prohibitive. But if it does not work for your unique situation, you’ve still spent the entire $155. Unfortunately, Pitera reviews are not available on the company website, which can make the decision process more difficult. An important consideration for anyone thinking of using Pitera products is the amount of time that your skin will be exposed to the ingredient. After all, workers in a brewery constantly use their hands with new batches of fermented yeast, all day long. An average consumer, on the other hand, will only use small amounts of the ingredient on their skin once or twice a day. Therefore, it’s important to have realistic expectations about Pitera products and rely on a wide variety of additional preventative techniques (like ample hydration and wearing sun block) to prevent wrinkles and aging skin.